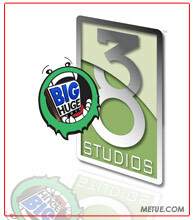 At the gaming industries big convention, E3, a lot of the buzz was software driven. The chatter and talk was about the games on the horizon. Who’s building what, how well it plays, how fast, and how fun. Looking to last month, the industry didn’t generate the same kind of excitement in the retail stores during May. According to the latest batch of retail data released Thursday by tracking firm NPD, sales fell off 23%, to $863.4m on the month. It was the third month of declining sales activity and the first month the industry turned out a revenue result below $1b in total since August of 2007. Normally at Metue.com we publish a review of the NPD findings right away. This month, we took a few extra days to give it a closer look. May is a historically weak month for games and to a certain extent, some weakness was expected. 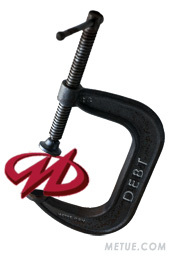 NPD and a number of industry analysts had largely predicted a down result. They note that year over year comparisons in the industry often don’t match because of differing product supply levels and the variable scheduling of when hotly anticipated new software releases hit the market. One year could be boosted by a just released blockbuster (like last year) while another coasts on solid (but not comparable) sales of older catalog hits. In May, those cyclical elements and the quality of one year’s slate versus another were surely in play, but we think there may be clues in the data that show the results are a little more complicated. It’s hard to call the Beatles an opening act. 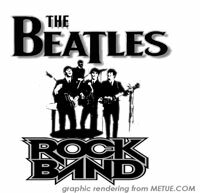 But if the Paul McCartney and Ringo Starr assisted demonstration of the Beatles Rock Band game was the warm up, than Microsoft’s demonstration of new motion control technology was the headlining main event at the company’s E3 Press Briefing. To put it to imagery, picture the gaming interface of Nintendo’s Wii, without the need of a controller. 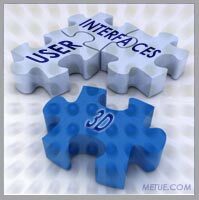 Picture a user interface that recognizes and responds to a person’s movement and environment. It’s a computer with sight (and ears). DJ Heroes, country tracks, sequels and spinoffs, the fall and winter of 2009 are sure to be a busy season for music-based video games (not to mention a big test of the genre’s staying power in the face of significant brand dilution). On September 1st, there’s Rock Band 5 (see Artist list below), then there’s DJ Hero, Scratch: The Ultimate DJ, Lego Rock Band and more. There’s something for different ages, and for fans of different genres, for everyone, maybe. But far and away, on many lists at least, the most anticipated curiosity to grab the limelight and grace the marquee will be the Beatles: Rock Band. First announced in November, the game was (in a way) years in the making, decades even, if you truly count the permission challenges necessary to get the Beatles song catalog authorized and approved for digital remastering and release. iTunes didn’t get it nor did Amazon Mp3. The first Beatles tracks to legally cross the digital divide will be in a game that EA, MTV Games and Harmonix managed to tie up. Little by little details have been trickling out. The producer’s behind it. Teasers about the concept. Images of instruments and a release date. Today, just before the official kick off of the gaming industries monster trade show, E3, Microsoft pumped up the buzz with the biggest data dump yet. In February, Blockbuster announced plans to roll out a pilot program for mail-order video game rentals sometime in the second quarter. It was confirmed that this would be an add-on to the company’s “Total Access” movie rental program, not a standalone offering, but otherwise details were sparse. 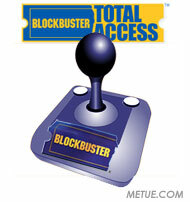 Today, Blockbuster provided an update. The company said in a statement that a pilot of the game rental service will begin June 30th in Cleveland. Subscribers opting-in to participate will be able to add Wii, PS2, PS3 and Xbox 360 games to their online rental queue for an incremental monthly fee. The fee, which hasn’t been disclosed, will only be charged for billing cycles in which the customer actually rents games. You can chalk up April as a poor month in game sales (sort of). Matching up to prior predictions, NPD reports the US video game industry returned a second month of double digit sales decline in year over year comparisons. Revenues fell off 17% year over year. The year over year growth rates don’t quite tell the whole story, however. As was partly the case in March too, without the breakout success of hits issued during the same period last year (Mario Kart and Grand Theft Auto IV), the growth numbers were doomed to be weaker. Explains NPD’s Anita Frazier, “while April sales might appear soft on the surface, it’s important to remember that April is being compared against a month (2008) that realized nearly 50% growth over April 2007. This year’s performance still represents the second best performance for the industry in the month of April.” This year beat out the previously second best April, April 2007, by 26% percent. Setting aside the year over year growth rate, overall, the month’s performance was reasonably sound. NPD tabulated total sales of $1.03b.